The three things we always look forward to ahead of the World Cup are the Panini sticker album, the Electronic Arts FIFA video game and the official tournament song. The Official Licensed Sticker Album by Panini featuring tournament stadiums, teams and players is out in twenty eight countries across the globe. You can find more information about it on the Panini website. 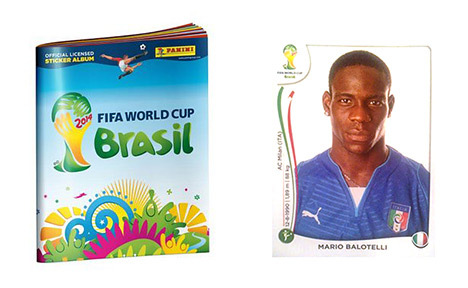 Here is a picture of the album and the sticker of the Italian forward Mario Balotelli. 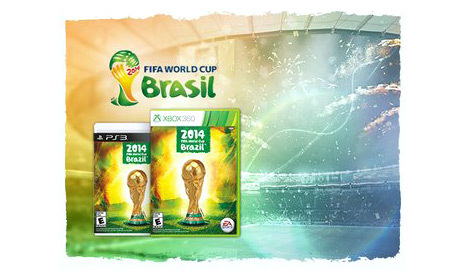 EA Sports recently announced the release date (April 15th, 2014) for the 2014 FIFA World Cup Brazil game. The game will be available for PS3 and XBOX 360 consoles only. The explanation from EA, in regards to why the game is not available for the next generation systems, is that they had limited resources and they wanted the game to reach as broad an audience as possible. You can find more information about the game, including the gameplay trailer, on the official EA Sports FIFA 2014 page. Last but not least, Shakira has unveiled the official 2014 Brasil FIFA World Cup song, which you can hear below. We hope you like it, as you will be hearing it a lot over the coming months. 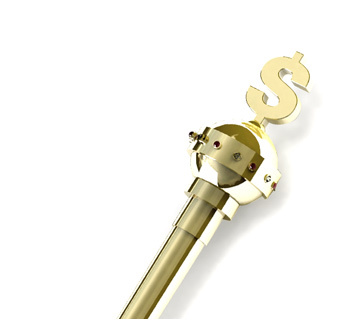 The World cup begins on Thursday, June 12th and it ends on Sunday, July 13th, 2014.